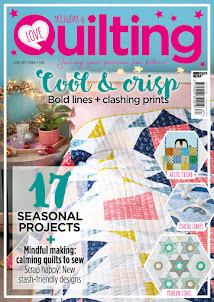 A new year has just been rung in and with-it usher’s in a new year of quilty projects! If you caught my Review of 2018 and Goal Setting for 2019 post, then you know clearing my WIP pile is just one of my goals for this year. While I have a spreadsheet with all my projects, I also like to participate in the Finish-A-Long. This is my 4th year joining, and I always find it helpful in moving my WIP to the finish line. Even if I don’t get everything done on my list (which I normally know ahead of time that I won’t! ), it’s nice to check-in every quarter, go through my list and write an update for each. The process is more often than not a surprise on how much I’ve actually gotten done! So, if you’re on the fence as to whether to join in the fun, let me reassure you this is all for fun. There is no pressure. If you don’t get anything done that quarter, then you don’t get anything done. There is no penalty. No shame. No judgement. 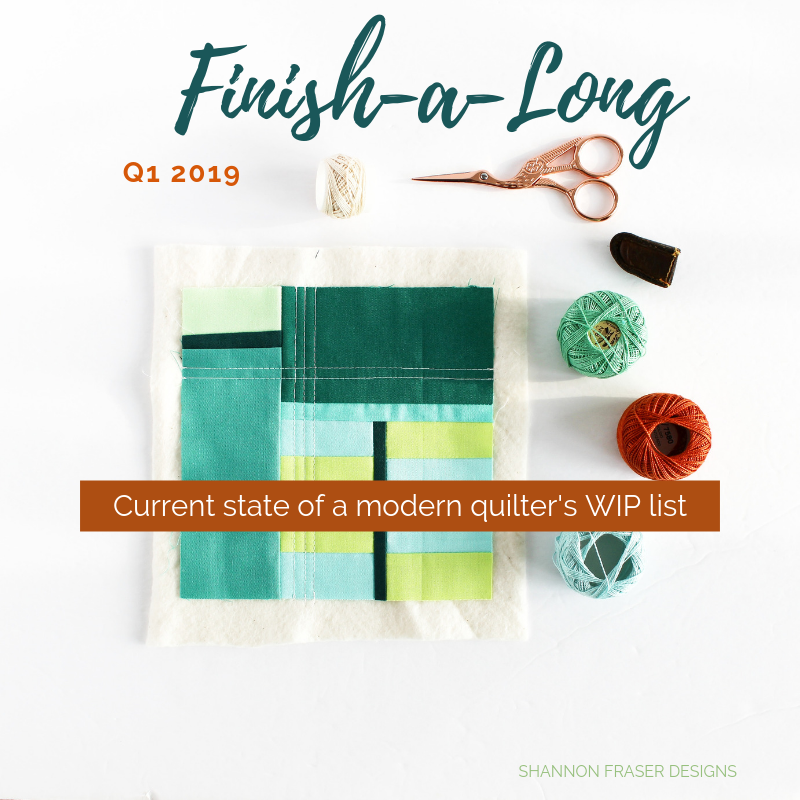 On the flip side, if you DO finish something then you get the chance to link up that finished project along with the other quilters, have fun comments left by other makers and run the chance of winning something. 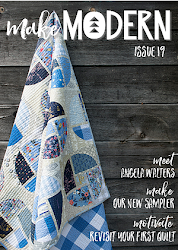 Plus, you get to see what other quilters are working on. How bad can that be?! 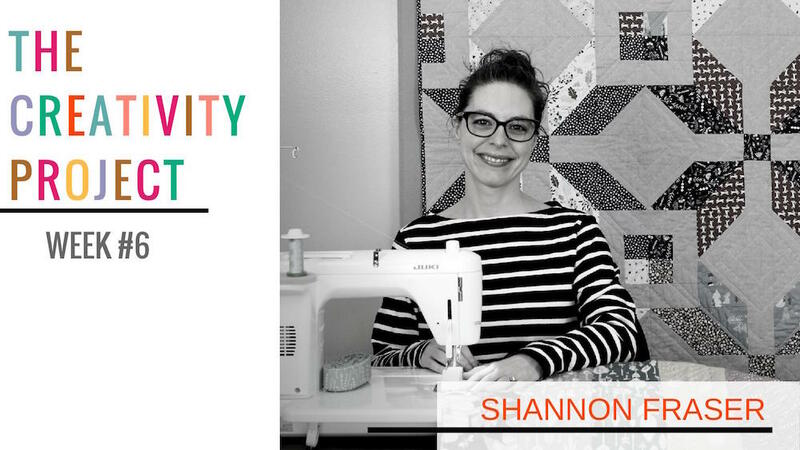 I’m so thrilled to see Izzy, my fellow Montreal Modern Quilt Guild member, is one of the hosts again this year. 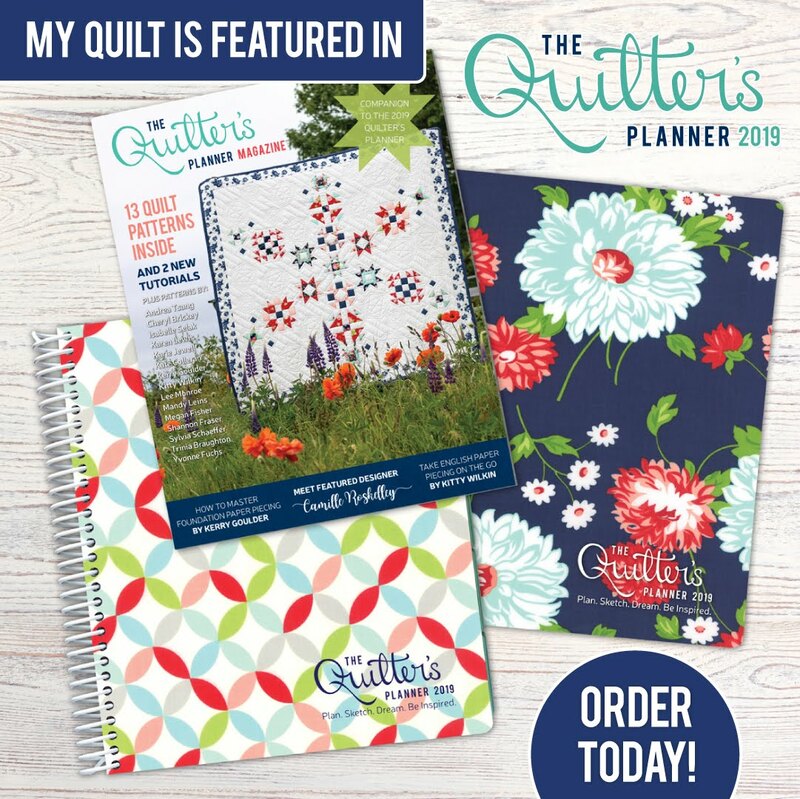 I’ll be linking up with Izzy throughout the year on her site Dizzy Quilts Blog. Alright, shall we dive in?! First up, I need to give you a progress report on Q4 2018. Despite the holiday break, the last few months of 2018 were quite productive, and I was able to knock off several projects from my list. 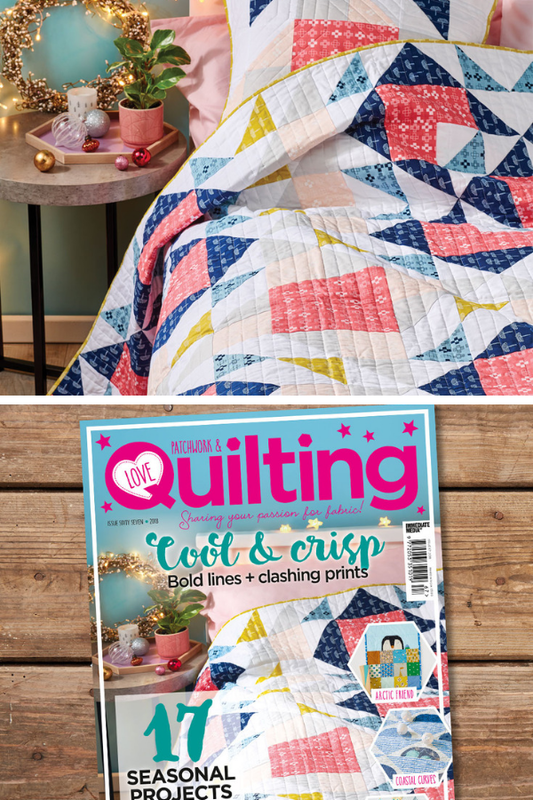 So, technically this one got finished allll the way back in April 2018, but I couldn’t share anything until she was featured in Love Patchwork and Quilting Magazine! Issue 67 went on sale November 1, 2018 and I found out the day before that she made the cover. Definitely a highlight of the year for me! And I’m thrilled she’s finally out there for you to enjoy too! 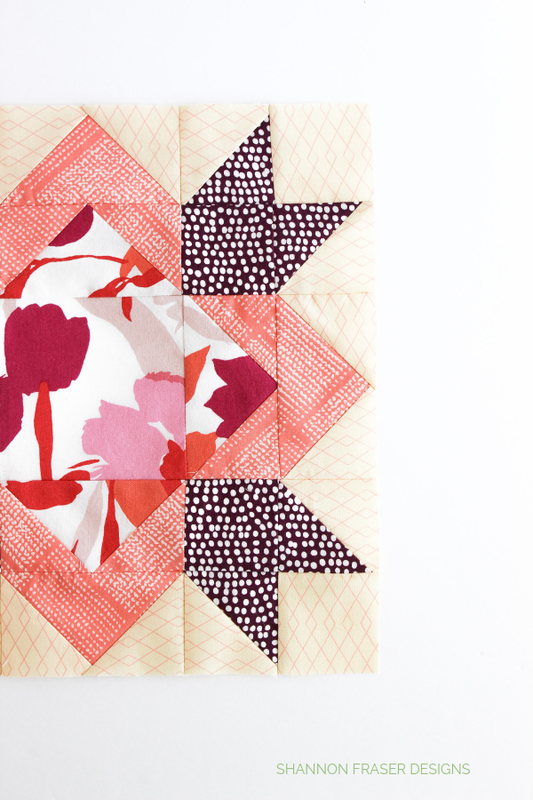 You blew me away with how much you loved this quilt! The inspiration for this one was so spur of the moment and I love how she came to life so quickly! 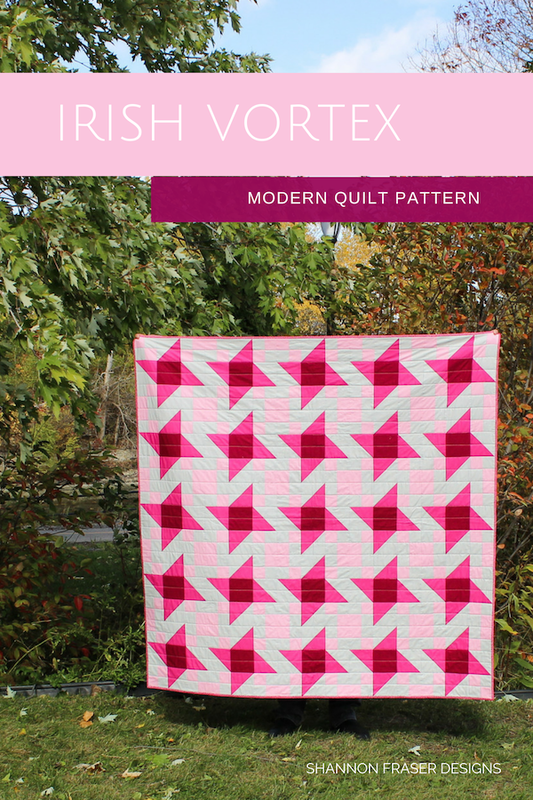 You can read more about the Irish Vortex quilt here and get the pattern to make your own here. 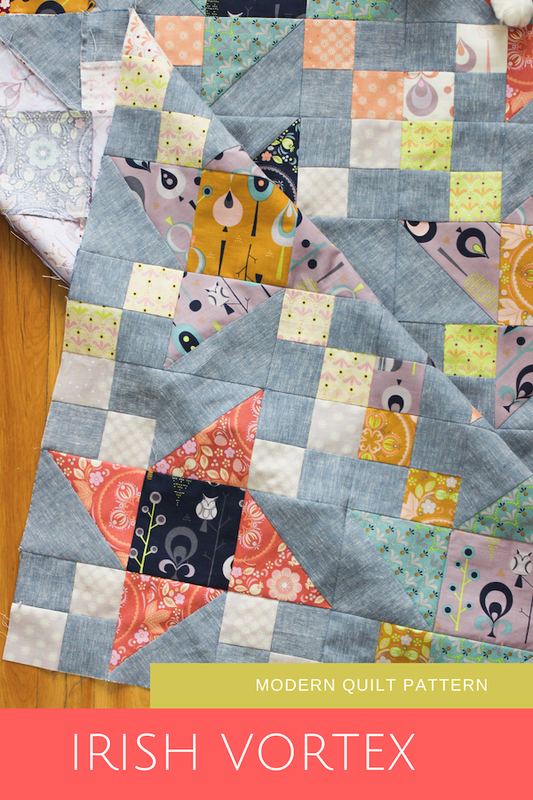 I loved making this quilt and loved snuggling with her even more over the holiday break! She’s warm. She’s cozy. And my first attempt at wavy line quilting will most definitely not be the last. 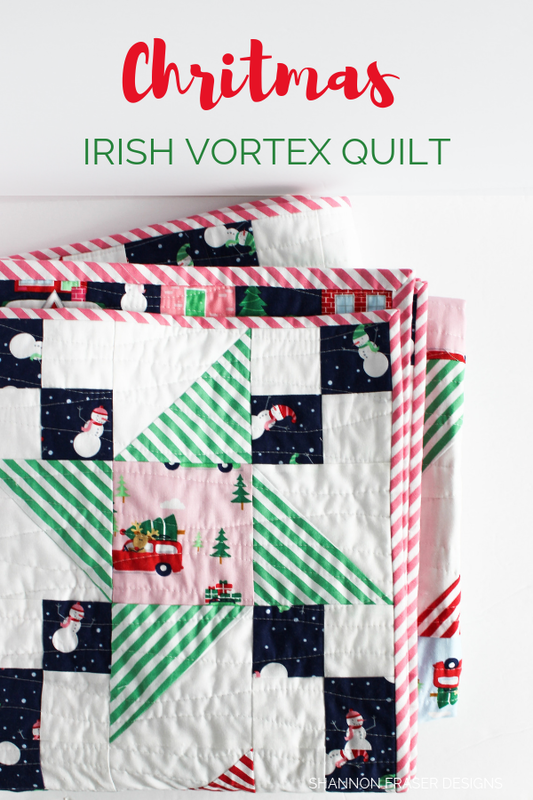 Read all about the Home for the Holidays Irish Vortex quilt here. 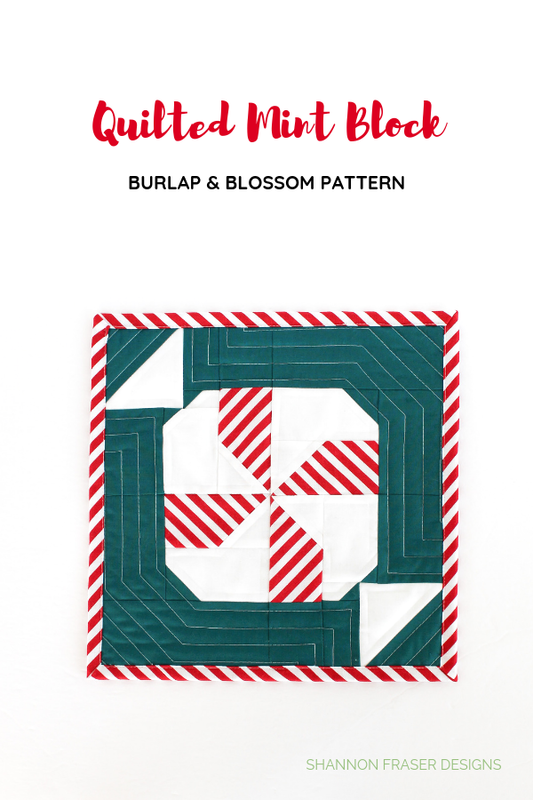 I was super thrilled that I was able to sneak this Quilted Mint Block in when the team at Love Patchwork and Quilting Magazine reached out to invite me to participate in their #gingerbreadqal. With cuteness like this, how could I refuse?! 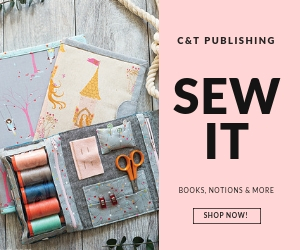 It was a gloriously sunny day up at the cottage when I received Emily’s email inviting me to participate in her new book blog hop! If you haven’t checked it out yet, you totally should. 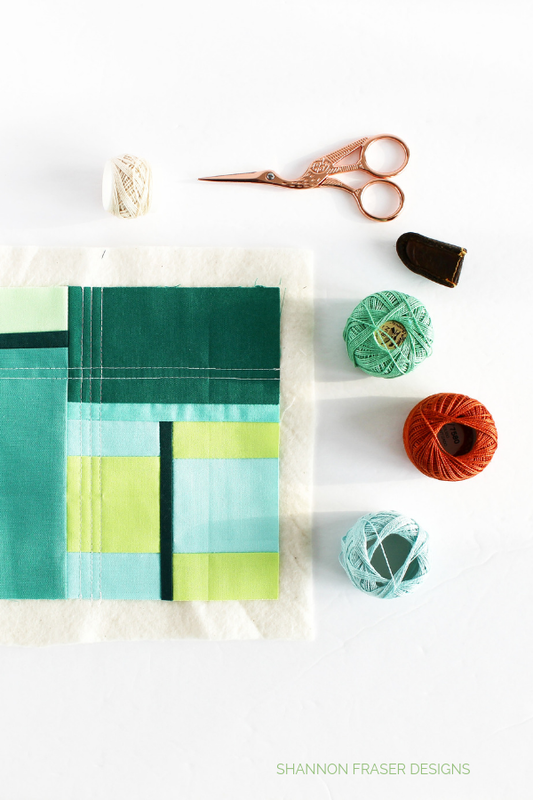 Emily’s Modern Quilts Block by Block book is chock full of inspiring modern projects. 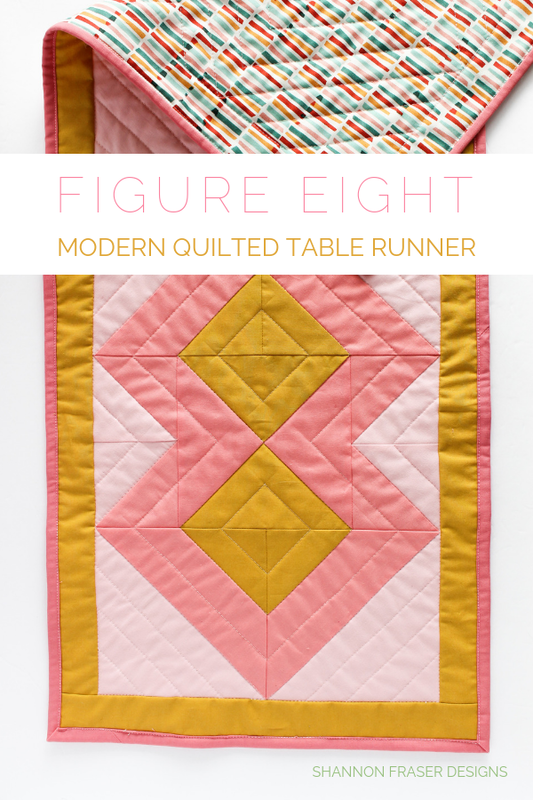 I was instantly smitten with her Figure Eight block and decided to turn them into a table runner. 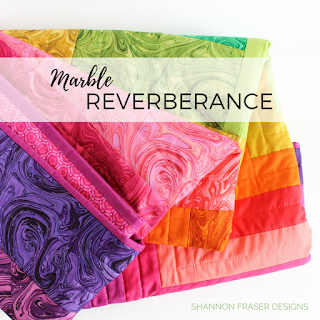 See more of the Figure Eight Quilted Table Runner here. 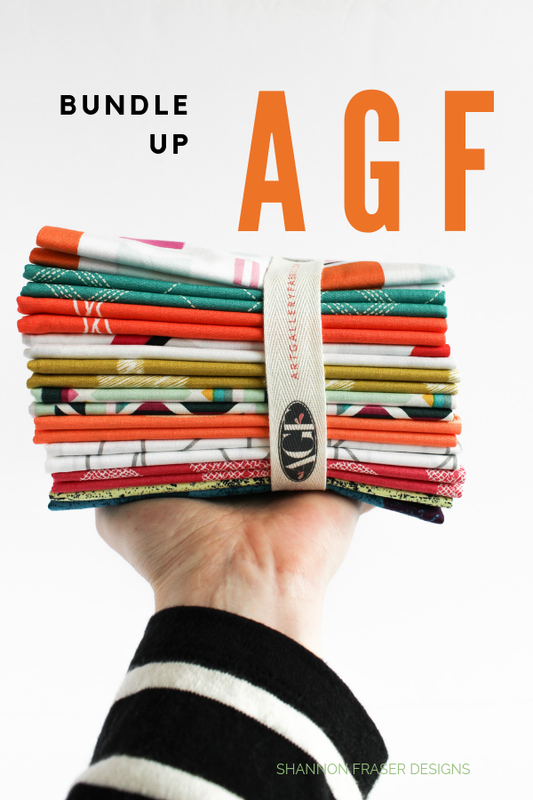 I hadn’t received the fabrics yet and, being a secret project at the time, I didn’t end up adding her to my Q4 FAL list. But she was absolutely on my radar and got finished right after Canadian Thanksgiving. 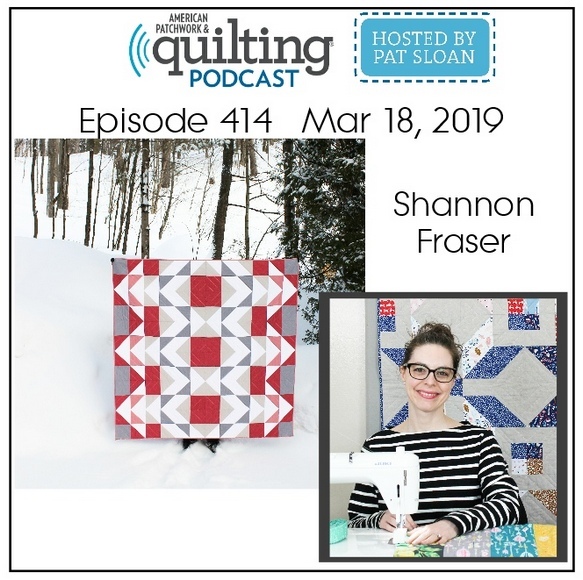 While she may have been on my radar, what I didn't expect was changing it from making a table runner to making a full on quilt! Read more about how that came to be here. This one is done and gifted! So, I’m free to share her with you! Hopefully the second round of pictures I took over the holidays turned out and I’ll have her up on the blog soon. I made great progress on the fall version of my Irish Vortex quilt. 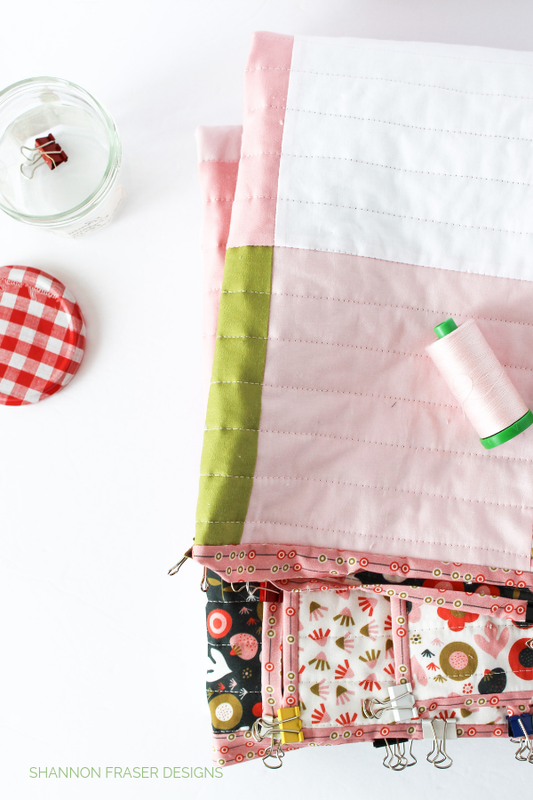 Right before heading off on holidays, I managed to get the backing pieced and the quilt basted. So, now all I need to do is get the quilting done and figure out the binding! 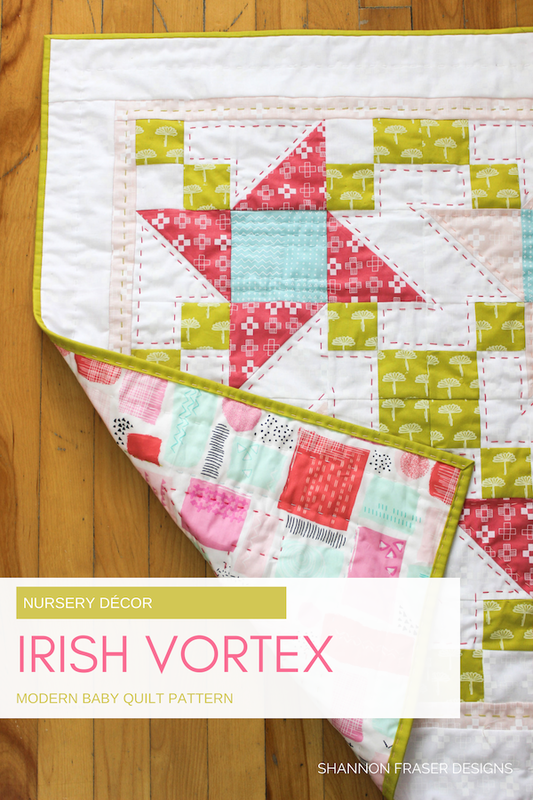 Grab the Irish Vortex quilt pattern to make your own! 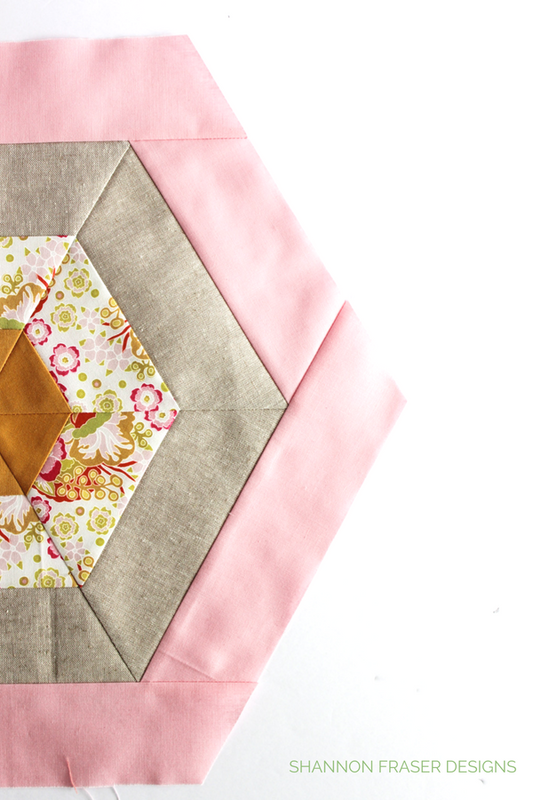 This pretty has been patiently sitting all cut up and partially stitched on my sewing table for months now. I keep sneaking in small advancements with 5 minutes here and 10 minutes there. 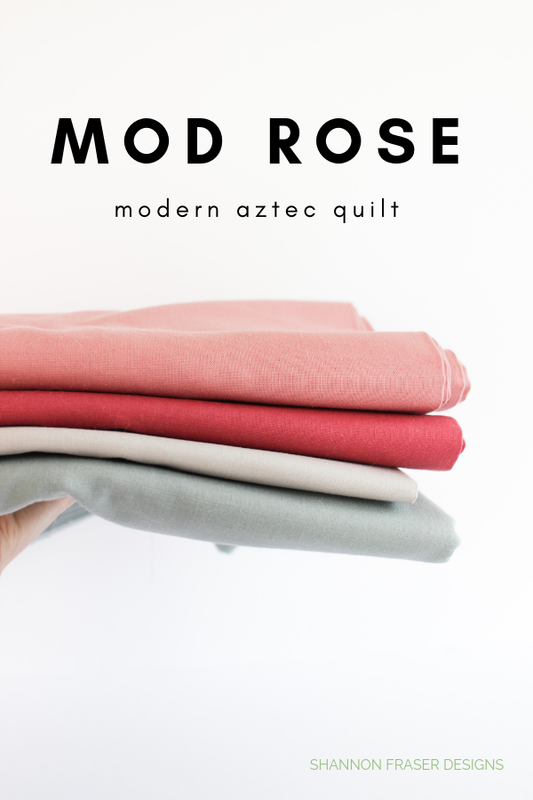 But she still needs lots of work and January should be the month as I finalize my testing of the Modern Aztec quilt pattern for release at the end of the month. 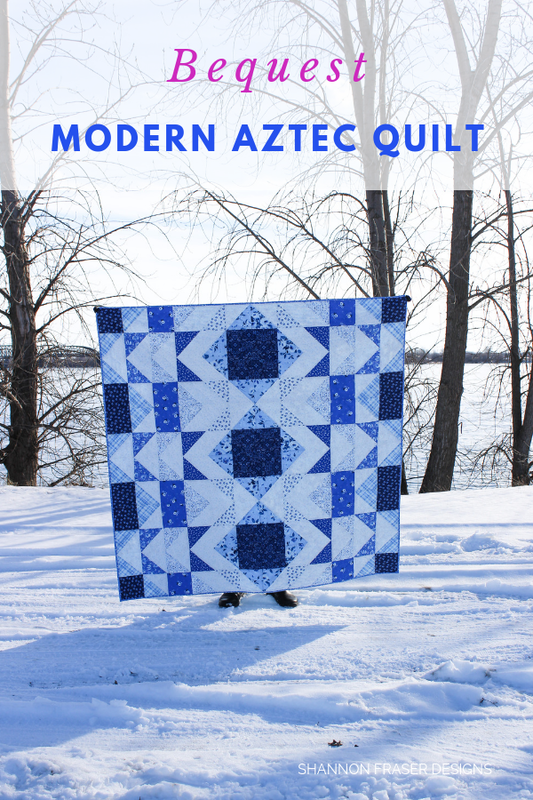 Modern Aztec quilt pattern is now available here. I had hoped to get her done before the holidays, but that just didn’t happen. It was close though! The finishing touches of the hand binding got done right after we rang in the New Year. Hope to have her up on the blog soon! 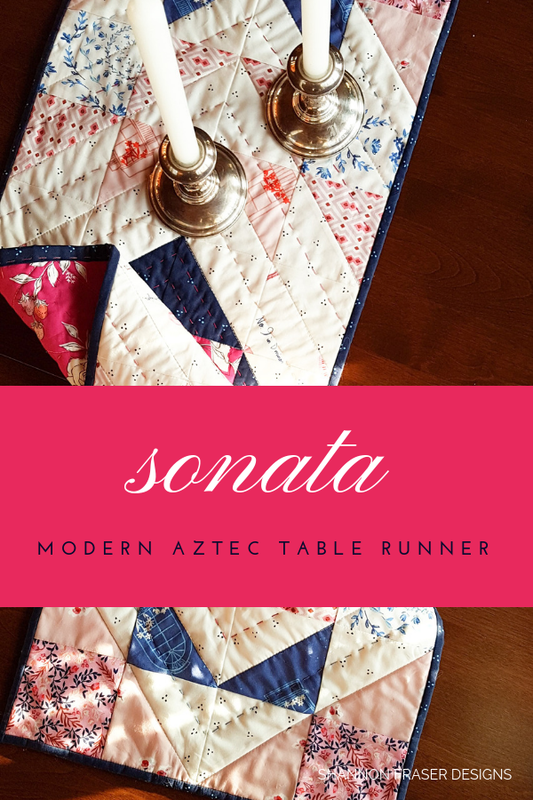 Modern Aztec Table Runner pattern is now available here. I had every intention of quilting her up over the holiday break, but since we were out of town for 90% of it, that just couldn’t happen. 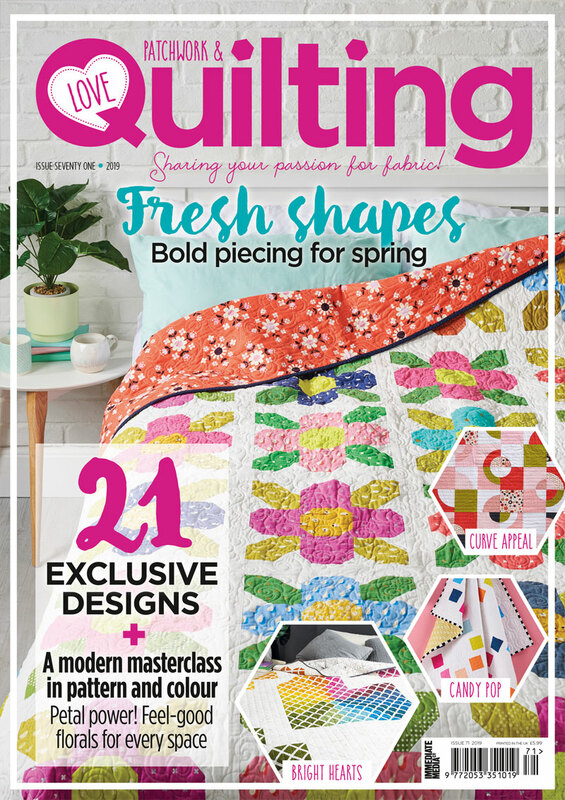 I’m hoping to sneak in the quilting on weekends. We’ll see how that works out. 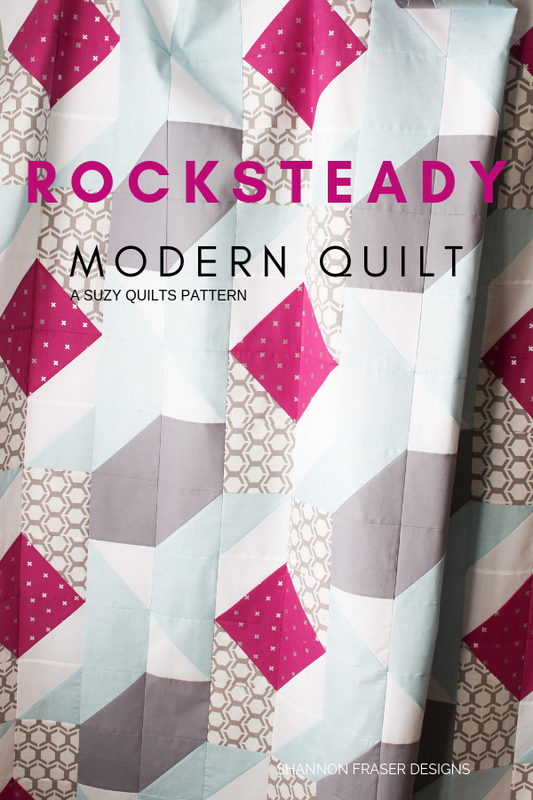 Find the Rocksteady Quilt pattern here. The improv drunkard’s path blocks didn’t even get touched this quarter. Well, unless of course you count me moving the bag to get to another project! I know, I know, that’s stretching it! 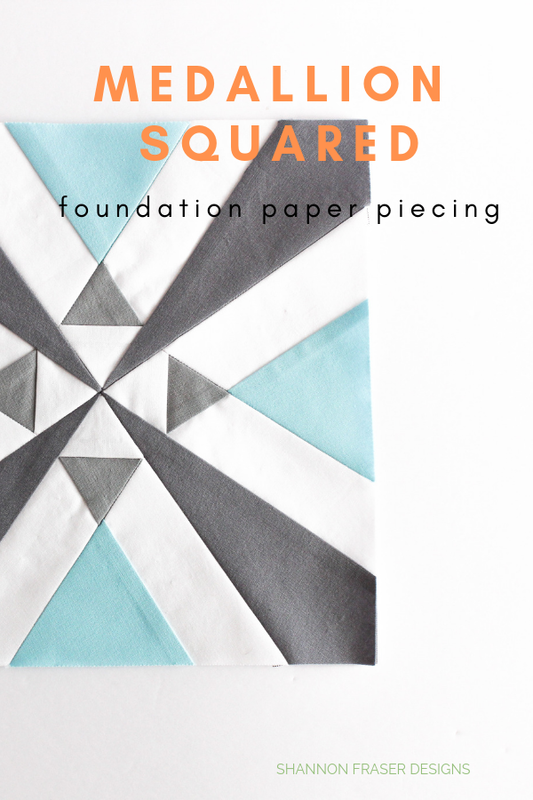 Not sure when I’ll be able to work on these curvy quilt blocks but listing her here so she’s on my radar. This is just getting embarrassing that I haven’t gotten myself to Ikea yet to buy some frames. Yup, that’s all that is required to cross this WIP off my list, but I just can’t seem to get myself to Ikea. I had it in my planner to go one day and then it snowed. And got pushed…right into the holiday season, and there was NO way I was heading there during the crazy holiday rush. Please tell me I’m not the only one who has an aversion to crazy mall lines? 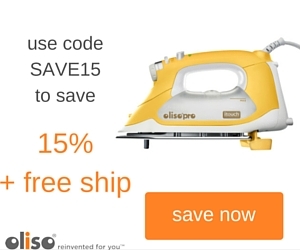 Grab the Sew Mojo Mini patterns here. 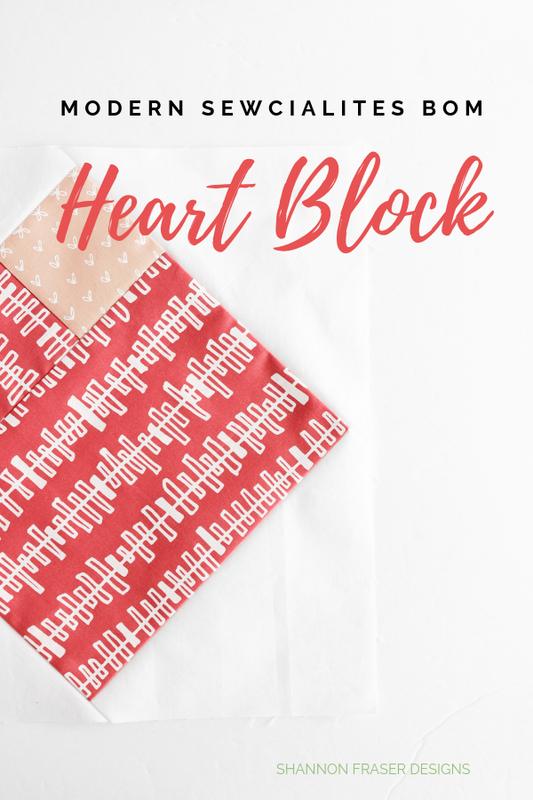 Another quilt project that didn’t make any progress this quarter. I think I just need to find some focused time to get this one done. Maybe a long weekend would do the trick? I’m adding that to my planner. 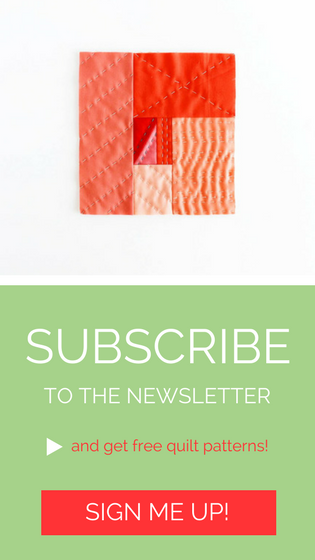 The Medallion Squared is a free quilt block pattern for newsletter subscribers – sign up here! This is the year of cleaning up my WIP pile and my Sewcial Bee Sampler quilt is one I’m excited to see come to a close. 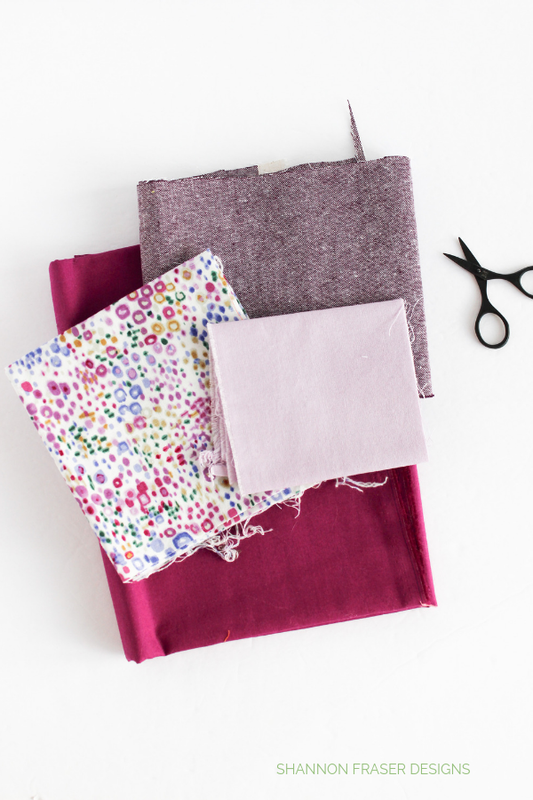 I’ve selected a stunning backing that entices me every time I open the doors to my fabric stash. Hoping that 2019 is the year she gets done. See Row 1, Row 2, Row 3 and Row 4. So, I’ve been totally off pillows for awhile and then I out of nowhere I decided to make the Double Chevron pillow with some scraps left over from my Bequest Modern Aztec quilt. That one turned out so nicely that I’m reminded of why I used to make them all the time! Hopefully those positive pillow vibes continue, and I can knock these off the list. 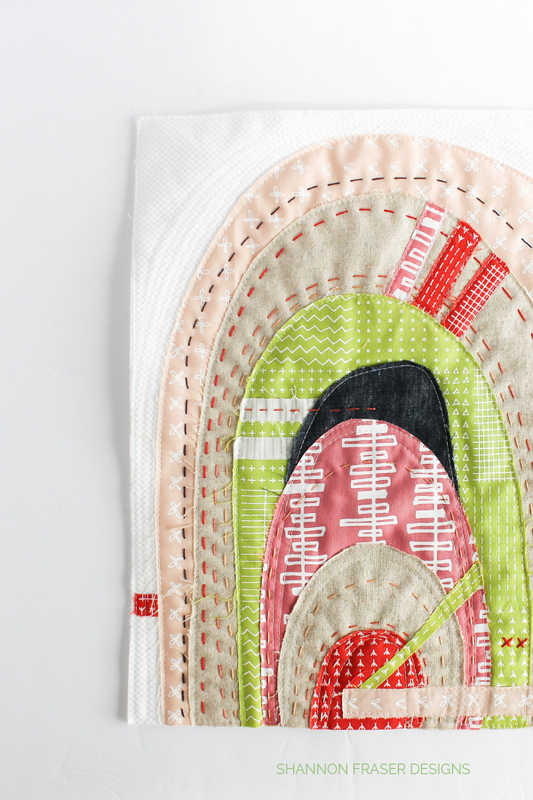 Full disclosure – this one has been a work in progress since the summer of 2016, I actually had everything quilted and bound ages ago, but it was those pesky threads that needed burying that kept deterring me. I finally managed to get them all done and now just need to get the sleeve attached. 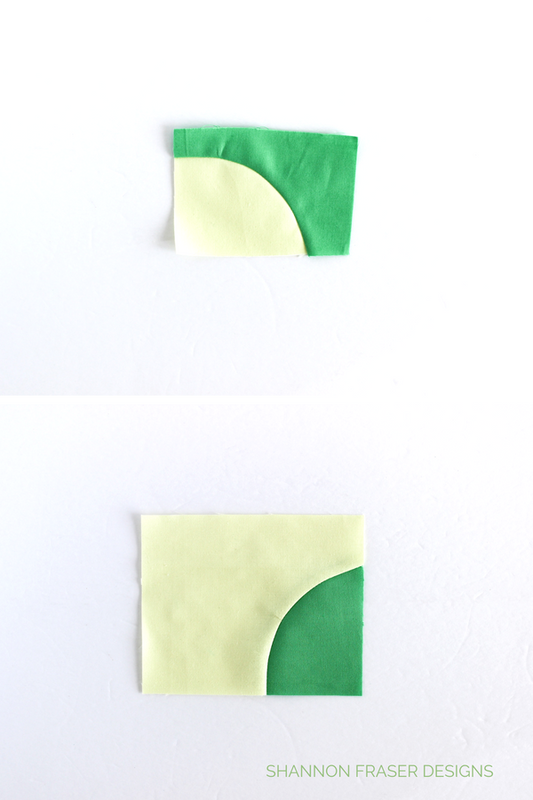 In the meantime, if you need help with burying your quilt threads check out this handy tutorial. I really look forward to having her done. At this point, the problem is, I no longer know how I want to finish her off. 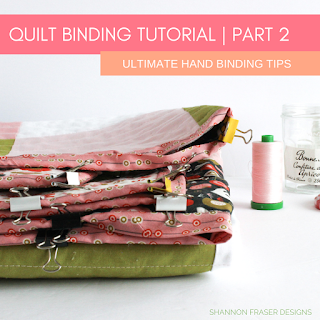 Plus, add in distractions with other quilt priorities and she keeps falling to the way side. I know I’ll love her once done – I just need to get past this quilt top finishing hump. 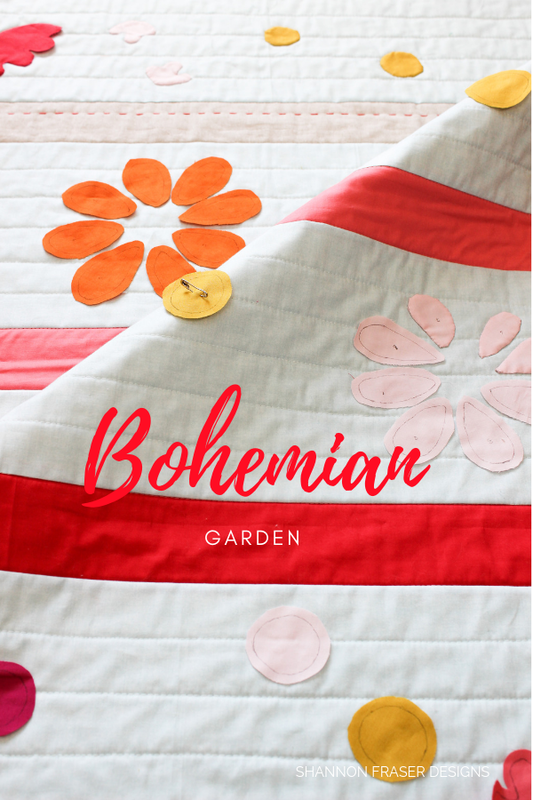 Progress has been made on this whimsical Bohemian Garden baby quilt designed by Suzy Quilts. I just keep forgetting to take some updated photos. Still a ways to go, but I’d say I’m about half-way through the needle turn applique. Another slow WIP, but I like having those to turn to when I need a break from other projects. 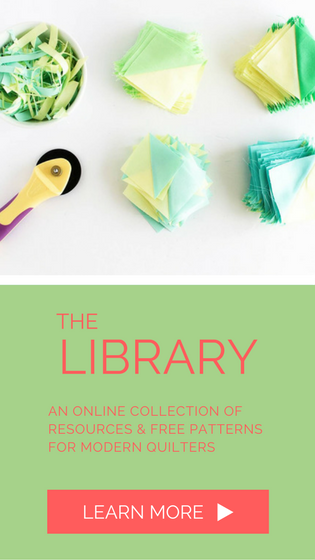 To make your own, you can find the pattern here. My #100daysofsfDMinis fell to the way side as I worked on other projects with deadlines. But I took her back up over the holidays and look forward to exploring more of these blocks in 2019. 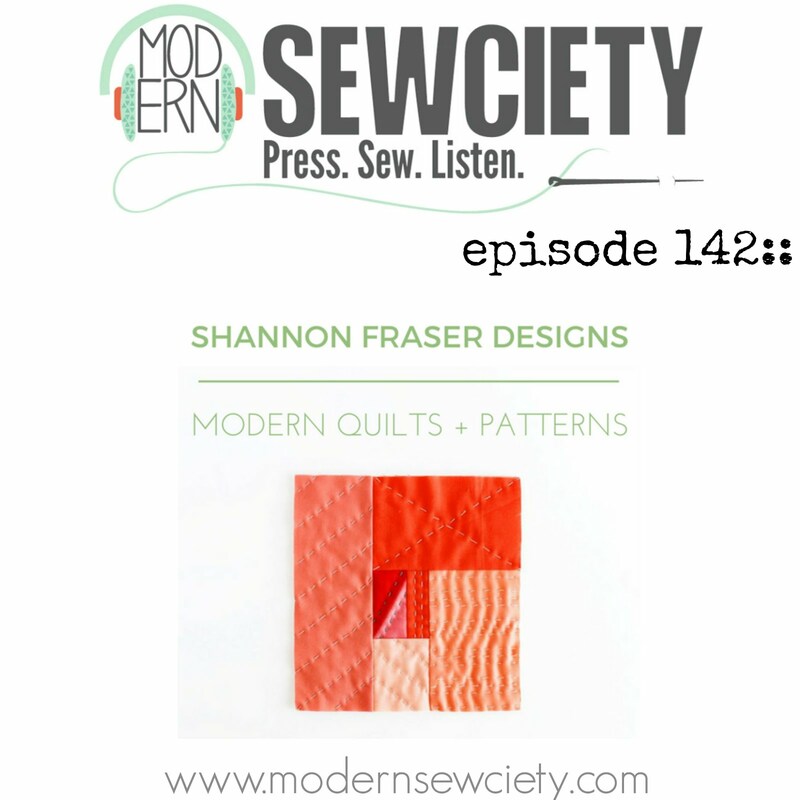 I’ve got quite a few blocks to go to catch up on the Modern Sewcialites SAL hosted by my sweet friend Stephanie from The Modern Sewciety Podcast. Each block has been a lot of fun to piece, so I really can’t wait to find a few hours to sneak these in. 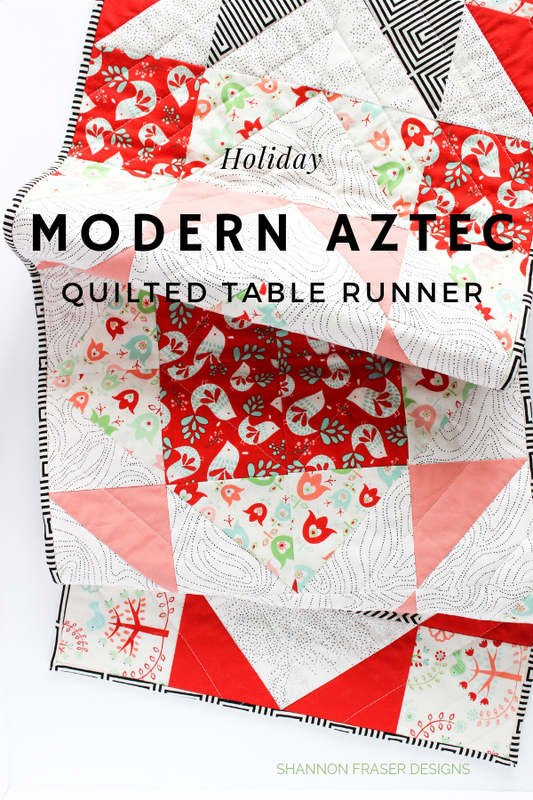 Modern Aztec table runner pattern available here. 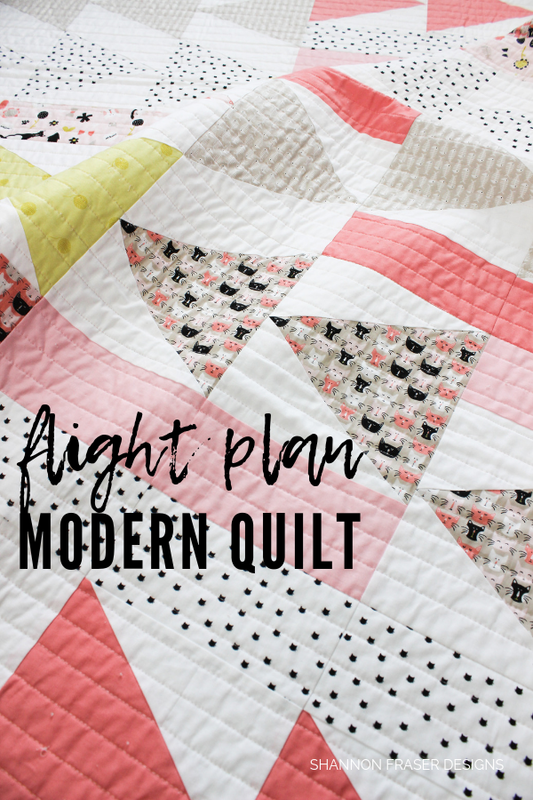 I have two ideas for this bundle – it’s either going to be another Modern Aztec or a Flight Plan quilt. Time will tell! 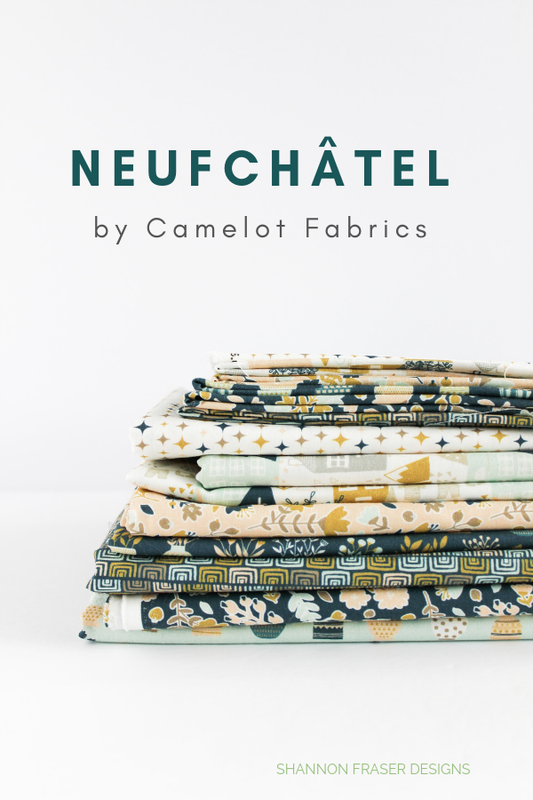 I was welcomed home from the holidays by this cute bundle of Neufchâtel from my friends at Camelot Fabrics. 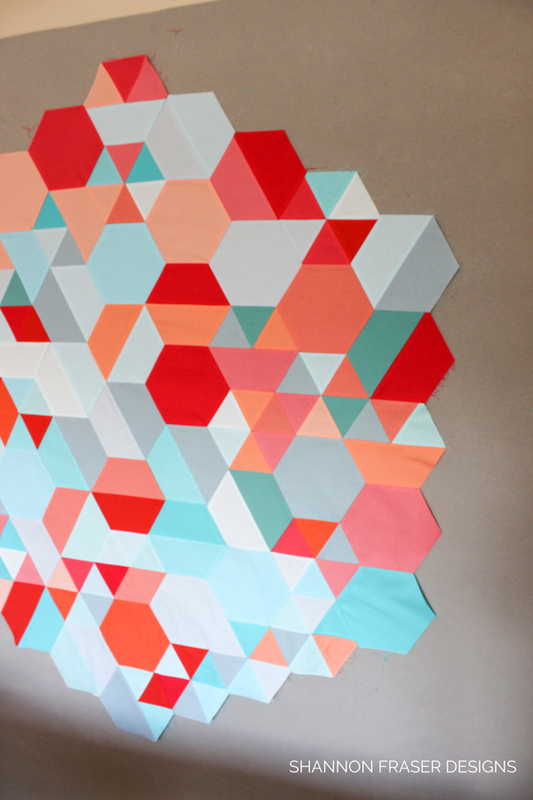 I can see it making a super cute baby Modern Aztec quilt! OK! That sums it up! Geez, get it all listed out and you realize just how many projects you have to keep you busy! Here’s to making the first quarter of 2019 a productive one! 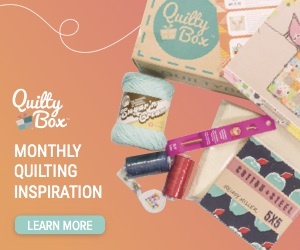 All of your projects are stunning! Good luck moving them towards completion. Thank you so much, Lisa! 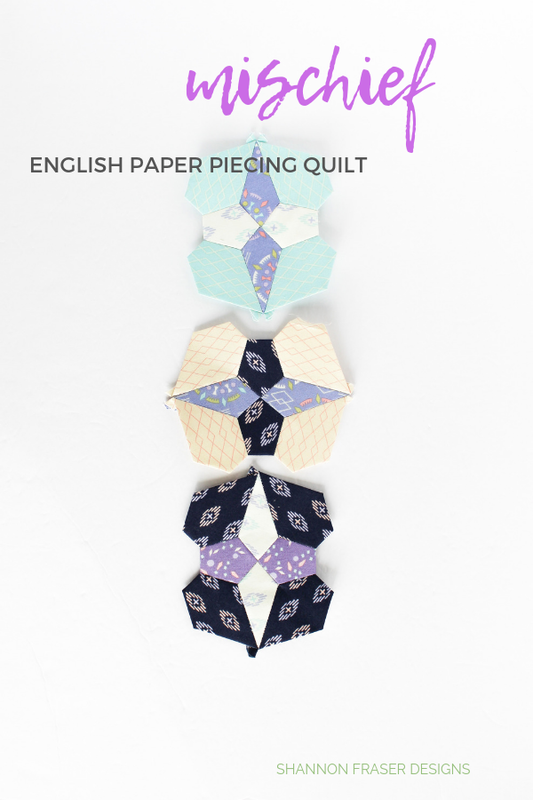 Hoping that once I get past writing my latest pattern I’ll be able to focus on ALL the sewing! You have such a great list Shannon - A little bit of everything to keep things interesting as you move through the quarter. 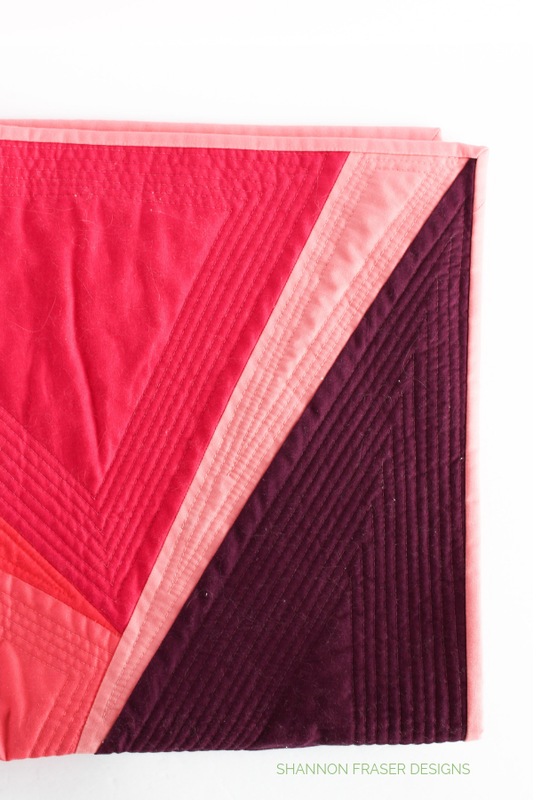 I can’t wait to see the finished Fall Irish Vortex quilt - I just love the colours in that one!